Wings of Nature is a company that makes 8 ingredient bars tha are organic and gluten free. They are made of fruit and nuts and come in three different flavors. 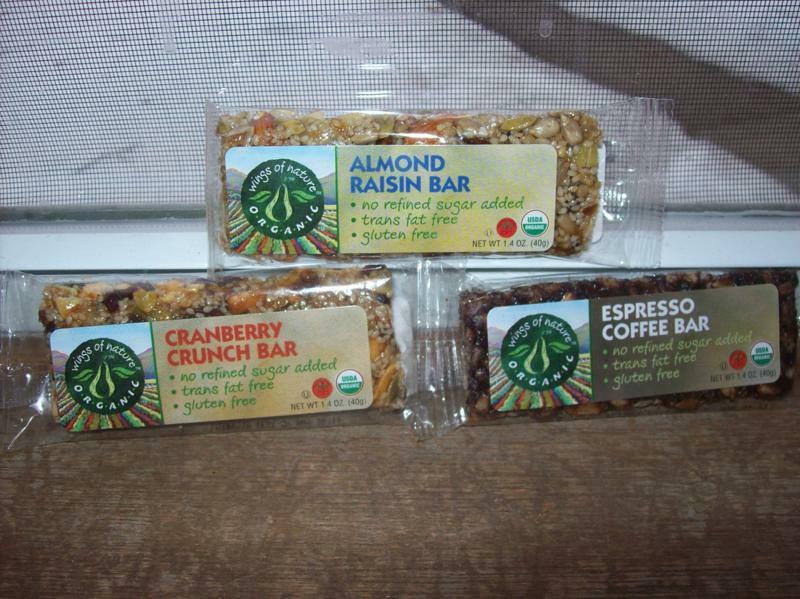 My favorite of these bars is the Cranberry Crunch Bar. It contains peanuts, raisins, sesame seeds, agave syrup, cranberries, and pumpkin seeds. The bar contains 170 calories, 5 grams of protein, 2 grams of fiber, and 9 grams of sugar. I really enjoyed this bar crumbled on top of caramel flavored yogurt with some sliced fresh strawberries. It made an excellent breakfast! I've reviewed Luna bars in the past and really liked them. This time, I got to review their chocolate dipped coconut bar and their chocolate chunk. I really especially like the chocolate coconut one. It tastes similar to a candy bar. 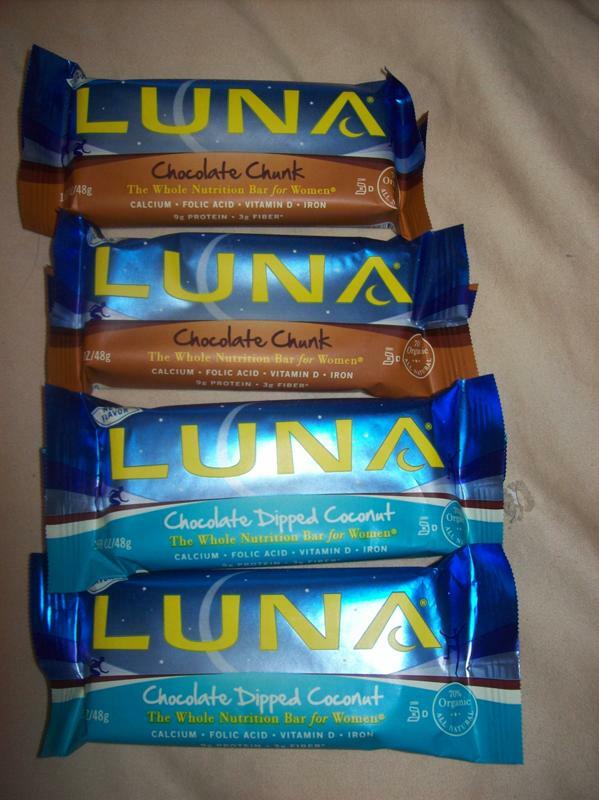 The bar has 190 calories, 9 grams of protein, 3 grams of fiber, and 11 grams of sugar. This would be great to eat in place of a candy bar. Also, all of the ingredients are natural and they contain no artificial ingredients. Thanks Luna!